Kerala is famous for its pristine sea beaches and lustrous greenery. But the center of attraction still lie in World Famous Backwaters of Kerala which comprises of Majestic emerald green lakes,criss-crossing canals, innumerable lagoons, estuaries, a delta of 44 rivers. This 900 km world constitutes the expansive backwaters that take you inland, right into the heart of beautiful , green Kerala. 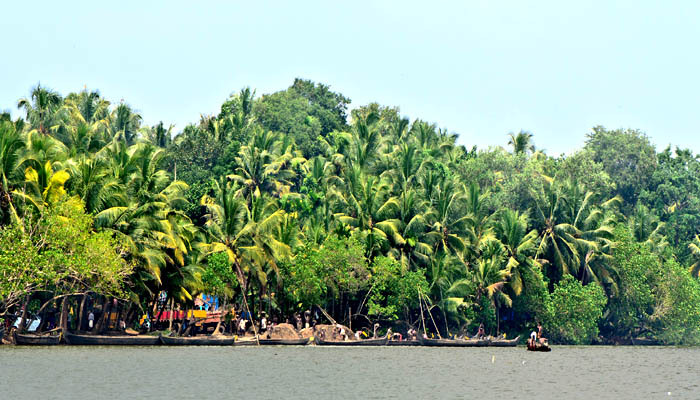 The backwater of Kerala mainly covers four districts of the State- Kollam, Alleppey, Kottayam and Kochi. The largest backwater body , the Vembanad lake flows through Alappuzha and Kottayam districts and submerges into the sea at Kochi port. The second largest backwater stretch is the Ashtamudi Lake in Kollam, hailed as the gateway to the majestic backwaters of Kerala. Teh eight hour cruise from the magnificent Ashtamudi lake to Alappuzha – the Venice of the East, is the longest and most enchanting backwaters experience. Vembanad backwater stretch is the most delightful back waters which is located in areas of Ernakulam, Alapuzha and Kottayam range. Vembanadu lake is the longest lake in South Asia and is a Ramsar World Sitefor its rich bio-diversity. The north Vembanadu lake opens to ocean at Cochin habour. The Cochin coast is specked with various islands interconnected by ships and bridges, embellishing the Queen of the Arabian Sea like a jewelry of pearls. The islands break the waves from the ocean, along these lines guaranteeing that the back waters are smooth and traversable. The southern Vembanadu lake is widely acclaimed for its natural magnificence and substantial region of water, sandwiched between Alapuzha and Kottayam. This is the most vacationer zone in South India and captivates guests all over world. Houseboat tourism, made this backwaters prominent, where vacationers can stay overnight in luxurious and comfortable houseboats,while enjoying the natural beauty of Kerala relaxing in Houseboats. Ashtamudi Lake in Kerala is the second most visited place for backwaters experience which is located in Kollam. It is one of the largest fresh water lake in India with numerous navigable canals and rivers interconnecting almost all regions of south Kerala. The Ashtamudi is also home of several endangered marine species. A cruise along with palm fringed waterways allows you to savor glimpse of a unique life that flows by at ten kilometers per hour. Your holiday home in this tranquil world will be the comfortably furnished houseboats which are locally called as kettuvalloms, which means a boat made by tying together the piece wood. They were once used as primary means of transporting cargo – mainly Kerala’s staple crops of rice and coconut and even the mail and morning newspapers. Today , these sturdy vessels have been converted into luxury houseboats equipped with all modern amenities. Crafted purely out of wood, these boats are made without using a single nail. 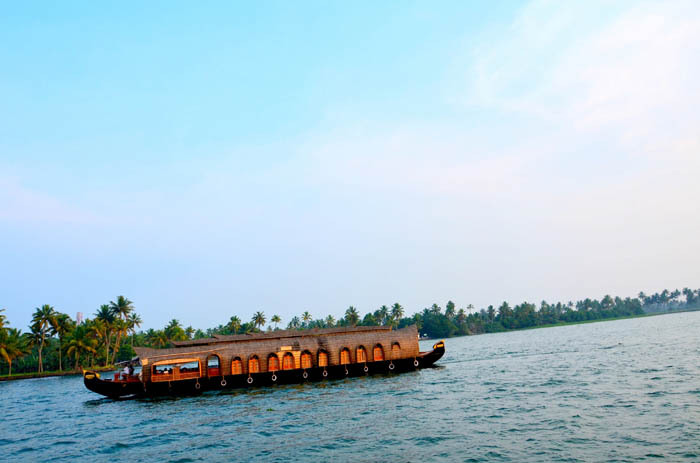 Its time to come, set out on backwaters journey and cherish the most unforgettable moments of life.